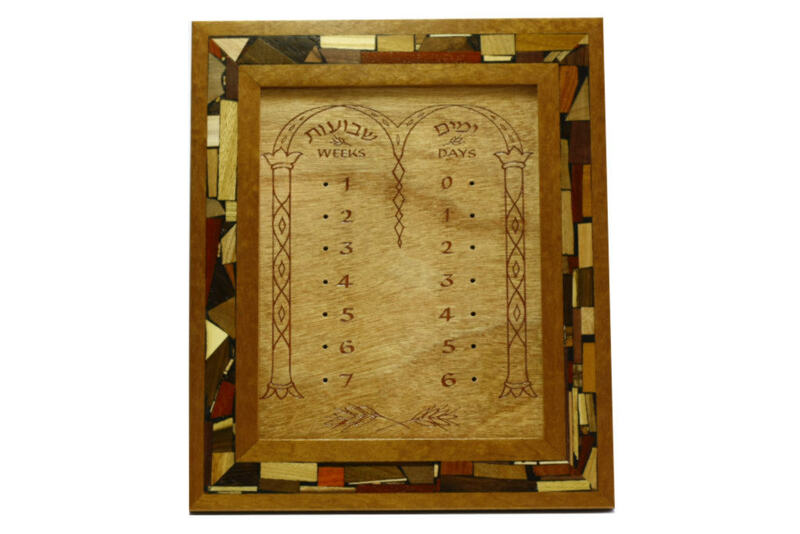 This Synagogue Sized Omer Counter is a larger version of the Omer Counter suitable for display in a synagogue or hall. This Synagogue Sized Omer Counter is a larger version of the suitable for display in a synagogue or hall. Every one needs to count the Omer, the forty nine day ritual counting, starting on the second day of Passover and lasting until Shavuot. 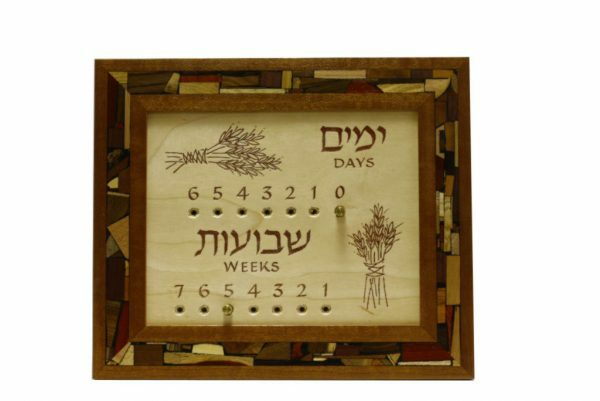 This Omer counter helps you to keep track of the days and weeks, you just move the pins accordingly when reciting the prayer. 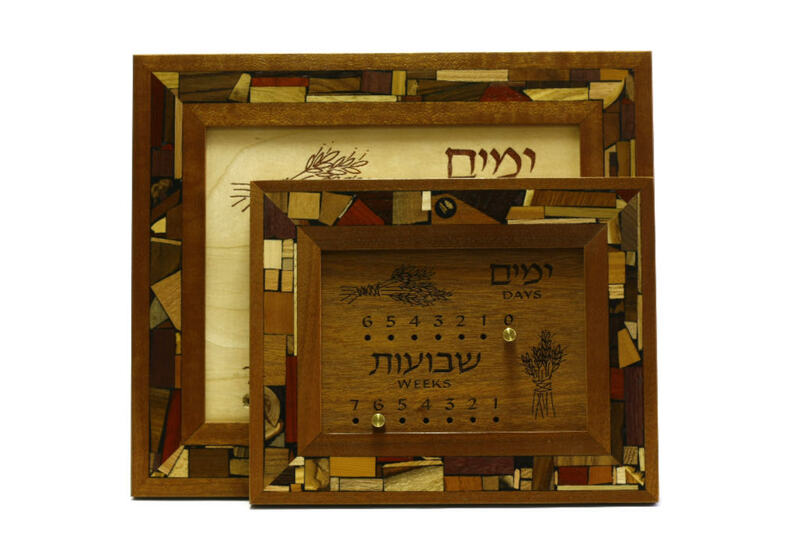 The Omer Counter, set inside a decorative wood frame, using Etz-Ron’s signature multi wood mosaics, each wood piece a different wood, and each hand inlaid. Using over 30 different kinds of woods from the world over, no stains or dyes are used. The colors you see are the natural colors of the woods themselves. 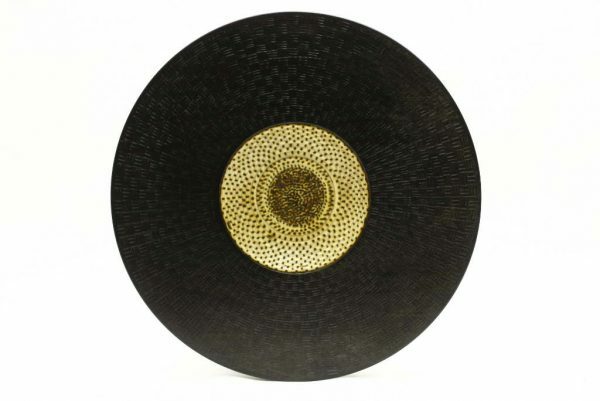 There are two styles to choose from, wheat, and arches. A special thanks to Sharon Binder for taking my idea and drawing it in to reality.